Let your motor do all the work, with i-Pilot. Automatically controls and steers your boat using GPS technology. Record a successful path, then retrace it later. Control speed and direction at your fingertips, then lock on to your favorite fishing hole for an easy return next time you're out on the lake. 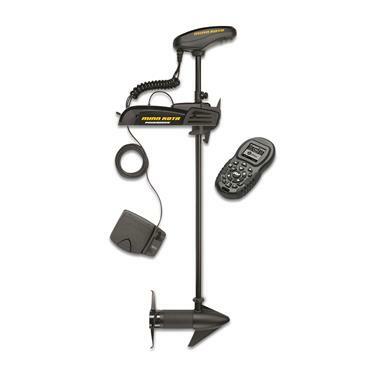 Minn Kota PowerDrive 70 lb 60 US2 i-Pilot Trolling Motor, 24V is rated 5.0 out of 5 by 1.